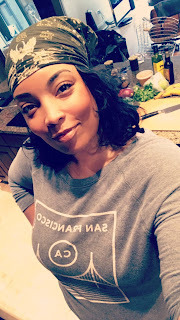 Okay, in between all the Thanksgiving chaos, we've still gotta eat right? 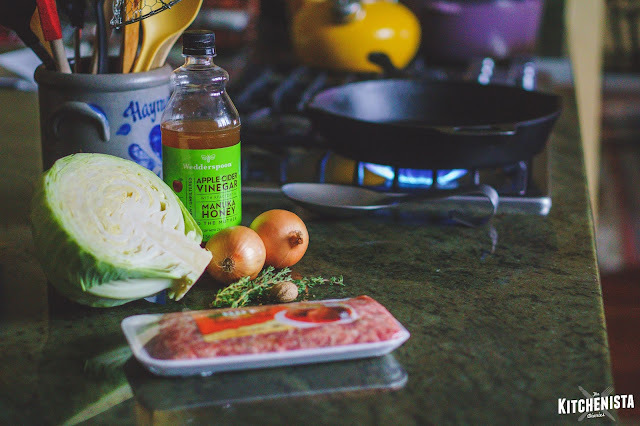 I'm on a cabbage kick lately. It's an inexpensive, healthy vegetable that fills me up and is super fast to cook. 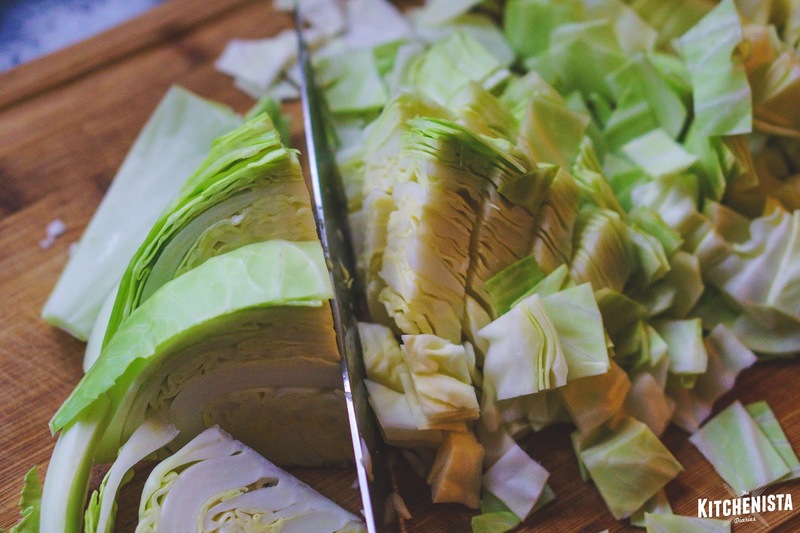 So instead of piling my plate up with all the carbs I'm craving, I've been turning to cabbage instead. This dish reheats well in the microwave, so it's also a great choice for meal prep at the beginning of the week. I used a spicy Italian sausage here, which seasons the whole dish. If you use another type of sausage, you can adjust the heat levels and spices as you see fit. 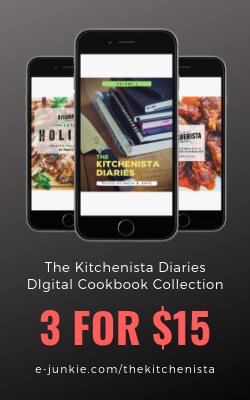 Grab the easy recipe, below! Special Equipment: Large cast iron skillet or other heavy bottomed pan, grater or zester . 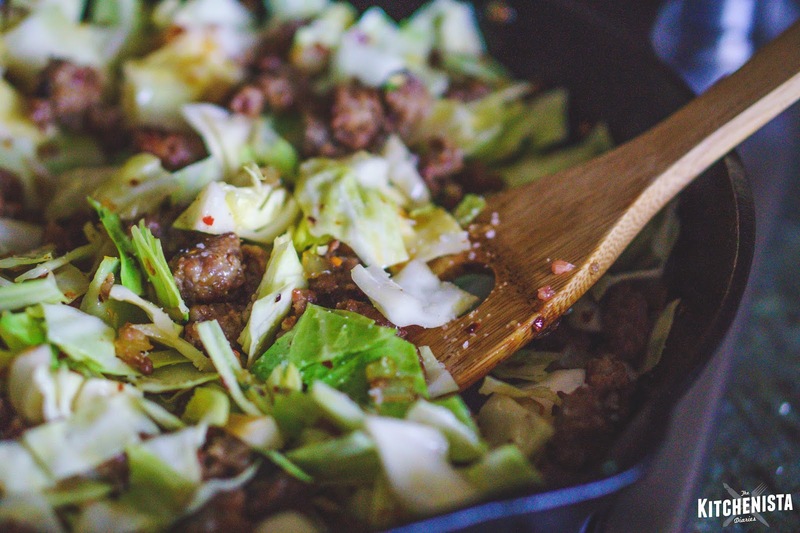 In a heavy cast iron skillet over medium high heat, cook the loose sausage. 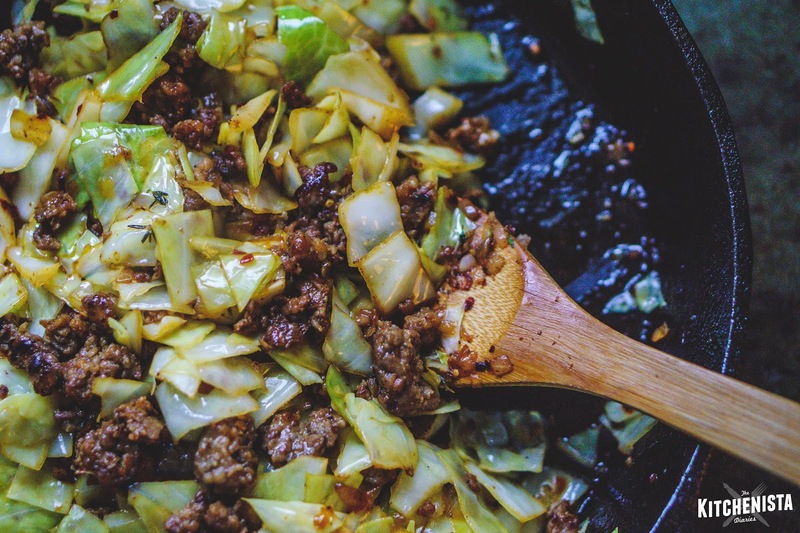 Only add a little oil to the skillet if needed, but sausage usually has enough of its own fat. 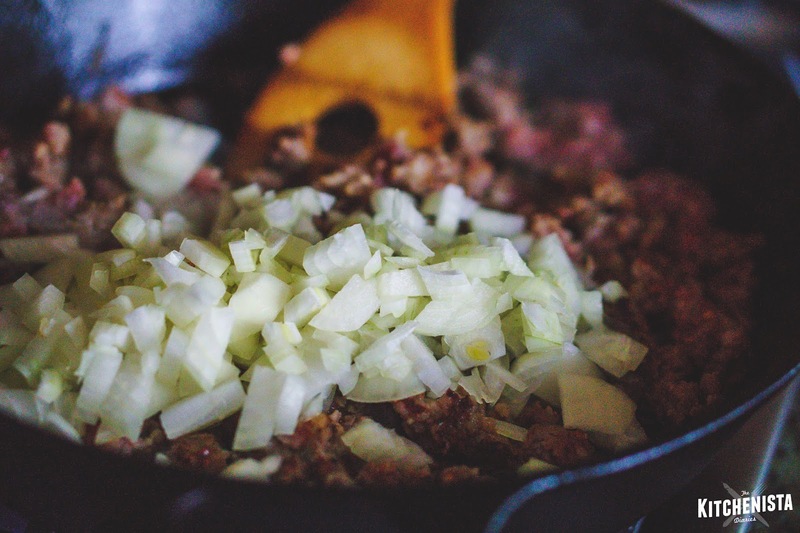 Once the sausage is fully cooked and no pink remains, add the diced onions and continue to cook until onions soften and sausage browns. 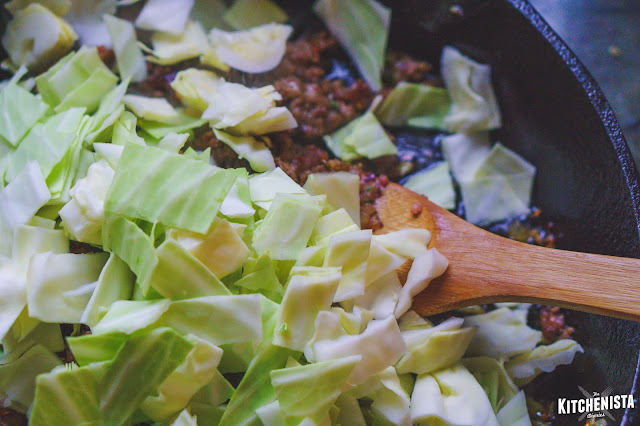 Meanwhile (no need to babysit the skillet here), you can chop up some cabbage. A rough chop is fine, for bite sized pieces. Back to the skillet. 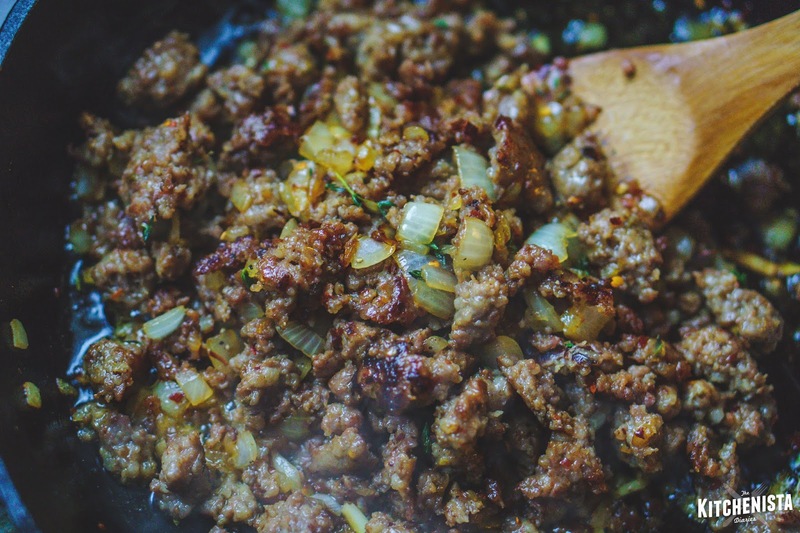 This is the kind of color you're looking for on the sausage, because the caramelization adds a ton of flavor to the whole dish. Once you've gotten there, add the grated garlic and thyme and cook another minute until fragrant. Next up is the cabbage! Add cabbage by the handful and give it a stir to start wilting before adding more. Again, only add oil to the skillet if it's needed during the cooking process. 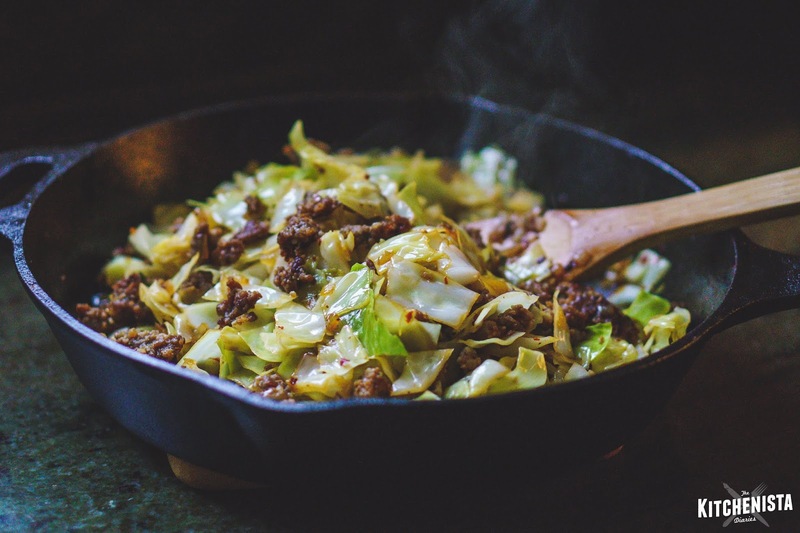 Add small pinches of salt as you introduce cabbage to the skillet. 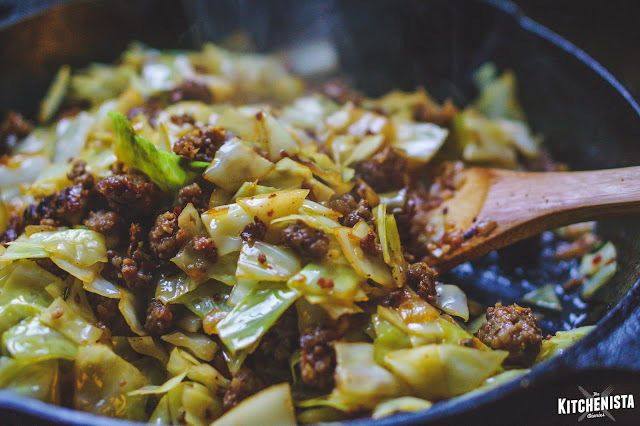 Once all of the cabbage is in, continue stirring to cook until the cabbage is wilted, but still retains some bite and color. This should only take a few minutes, if that. Grate in the nutmeg, and season to taste with salt and pepper. To finish, pour in the apple cider vinegar. Scrape up any browned bits at the bottom of the skillet as the liquid seeps down. Stir to toss all the ingredients together, giving things another minute or so to cook off the harshness of the vinegar. Serve immediately!